A Florida State University scientist pioneering research to fight Zika and West Nile virus is part of a multimillion project to investigate how quickly the viruses attack human brain cells and how the brain reacts to infection at different stages of development. 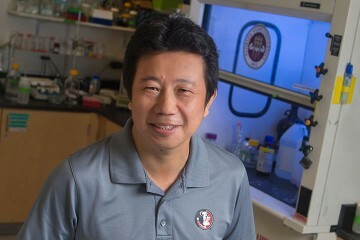 At FSU, Tang and his lab will use a 3D organoid, or “mini brain” model, developed by Professor Guo-Li Ming from the University of Pennsylvania, to investigate how Zika targets brain cells and affects human neural development. Working with the Georgia State University team headed by Professor Margo Brinton, Tang and his lab will also compare and contrast Zika with West Nile virus to better understand how related neurotropic viruses attack the human population and cause different diseases.